A few weeks ago, Shelli made her list of the 20 memorable movies of her past. Here is my list. As I stated in an earlier post, I wasn’t really into the movies’ experience, so it took me a little while to remember this many. These are numbered, but are in no particular order … in part … because they are all SOOO GREEAAATTT!!! 1. Rocky: It was an underdog story of inspiration. This may have been the first time I saw blood and pugilism so close up. This is where I think desensitization started. 2. Daughters of the Dust: Breathtaking visuals. I cried. 3. Rambo: I am not explaining this … it was Rambo! 4. The Color Purple: I shared this film with a group of adjudicated teens at a group home I was working. The conversation afterwards got DEEP! 5. 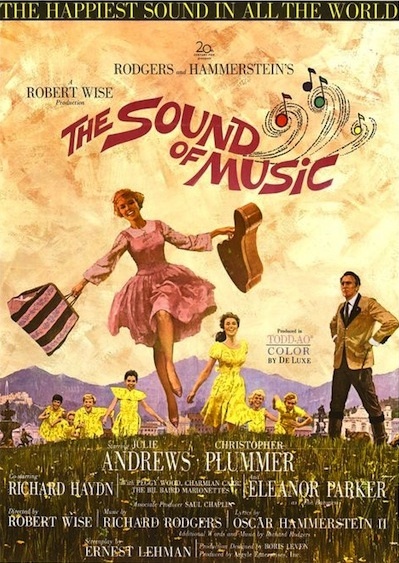 Sound of Music: My first musical. It made me love the music. Still one of my favorites. 6. The Education of Sonny Carson: Watch this with an adult who has seen it and can give some cultural, historical and socio-political background. Also, keep an ear open for the various clips that were sampled by hip hop artist. 7. Beat Street: I was a break dancer on the east coast, so this was a no brainer. In retrospect, there were some hella corny moments. But, Rae Dawn Chong and the other great actors made them seem so real! Haha! I wonder where the dude that played the younger brother Lee is now? He was funky fresh dope! 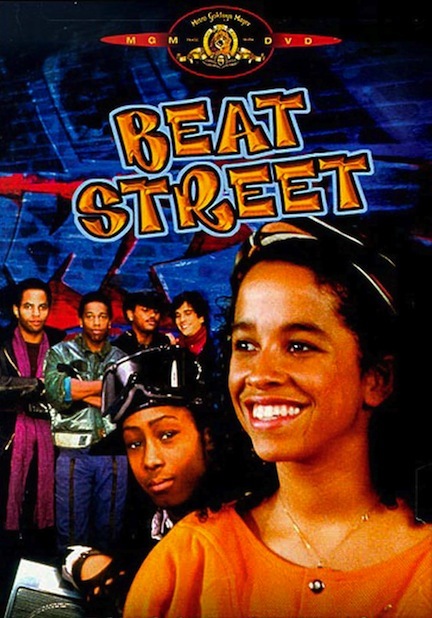 *Did you know that the director of Beat Street was Stan Lathan? Among other things, Stan directed episodes of Sanford & Son, co-produced HBO’s Def Poetry Jam with Russell Simmons … AND he fathered and raised actress Sanaa Lathan. He didn’t do that with Russell though. 8.Carmen: Do I really have to explain!?! 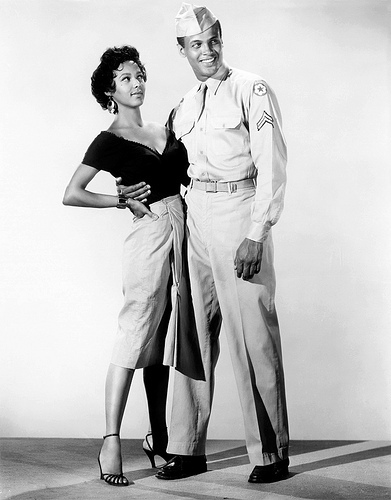 Dorothy Dandridge and Harry Belafonte! 9. 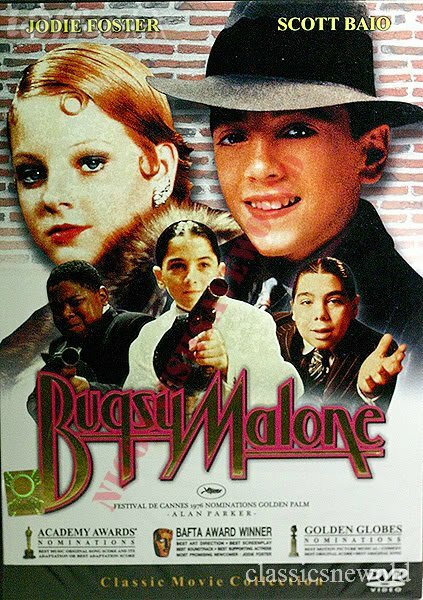 Bugsy Malone: This is the one with a young Jody Foster and Scott Baio. Kids play adults in the film. Instead of bullets, the guns shoot marshmallow fluff stuff. Dope flick! 10. 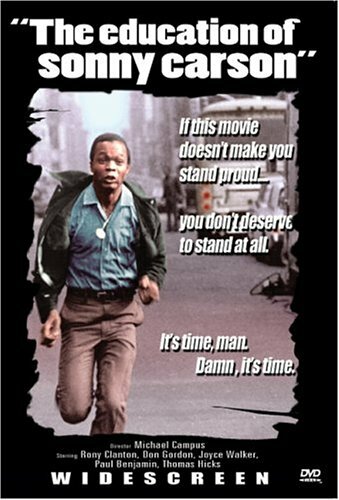 Putney Swoop: This was a film by Robert Downey Sr. that starred Melvin Van Peebles. This film spoke to me about integrity and black pride, as well as being a conscious consumer. 11. 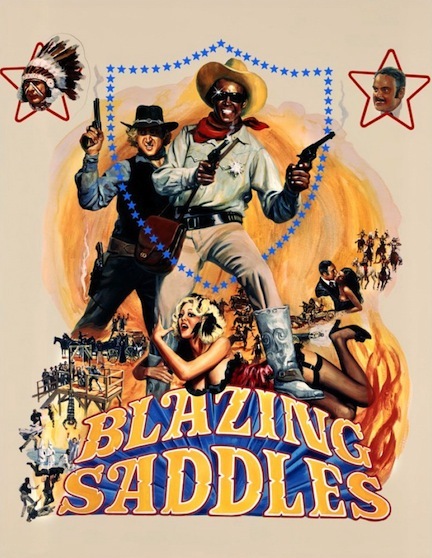 Sweet Sweetback’s Baadasssss Song: This right here?! Blew my mind! And, it was Mario Van Peebles film debut. 12. Poltergeist: I don’t like scary movies. I don’t like the concept of going to a movie to be scared by something. I believe in the angels of my ancestors. Some call that ghost/spirits. Not only did I walk out of this movie after skipping school to go see it, I walked (I don’t know how many miles) home! 13. Baraka: The film had a dope name! Everyone was surprised that I had never heard of it before. And I hadn’t. Not only hadn’t I heard of it, I had never seen or experienced anything like this. It was shard with me by a circle of friends and family that were pushing me to get out of the bland suburban khaki thoughts and to embrace the spiritual journey that I was on and to delve more into my creative and artistic self. THANK YOU Joelle, Saul, Marcia and the Red Clay Collective! 14. The Spook Who Sat by the Door: Sam Greenlee’s film about … I’m not tellin’! 15. Sankofa: A film professor at Howard University made this film, giving moving pictures and a story to the concept of Sankofa. An African idea that in order to move toward your future, one must know their past. 18. Forrest Gump: This wasn’t just funny to me. My aunt was severely emotionally and mentally handicapped. My mother is a special needs teacher. I grew up around people with special needs. I loved seeing a fun, empowering, triumphant story that showed a bright future. I will watch this every time it is on! 19. Victory: I was a soccer/football player that wanted to be Pelé. 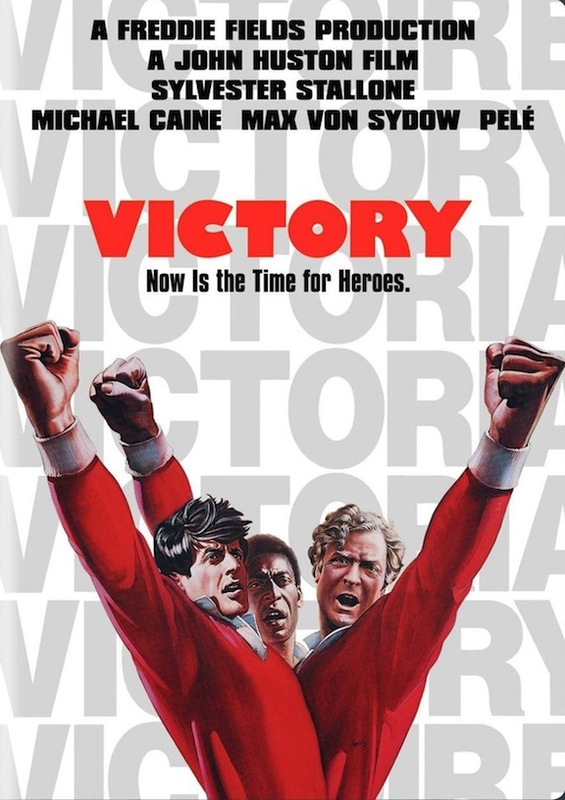 This was that soccer/football movie with Pelé and Sylvester Stallone. 20. Coonskin/Street Fight: This was a CRAZY, super sociopolitical animated and live action film that had Barry White, Scatman Crothers and Phillip Michael-Thomas voicing the main characters: A bear, a fox and a rabbit. It was by the same dude that did Fritz the Cat, so it was HELLA adult content! *Read this Wikipedia entry on this film. Crazy! 22. Shawshank Redemtion: It took me a long time to see this movie. But, when I finally saw it, I was like, “Yeah … This is dope!” I like it when the bad guys get away. So, when the good guys are bad guys (or vice versa depending on your perspective) and they get away, it’s even better! 25. 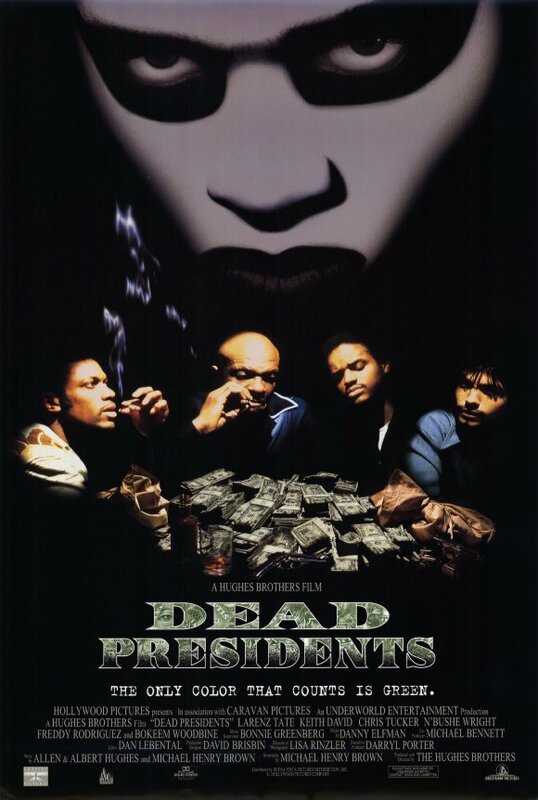 Dead Presidents: It was me, my pops and his friend. It was the night before the Million Man March. On top of the film being great and the excitement of the occasion, I couldn’t sleep because, after the film, my pop’s friend was complaining about his Post Traumatic War Syndrome senses tingling! 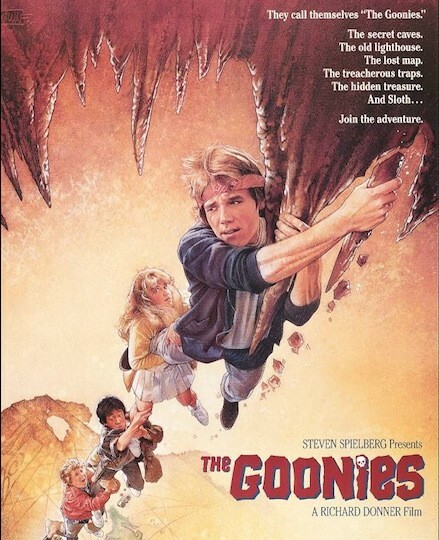 The Goonies: I know. The Goonies? But it was a fearless sense of adventure and the drive to do something good for a greater community. It also spoke to my want to be nerdy and tech savvy and my want to be a rough and tumble adventurer! Crooklyn: Because it was close to my experience when my sister and I used to go visit my grandmother in Charrlottesville, VA during the summer! 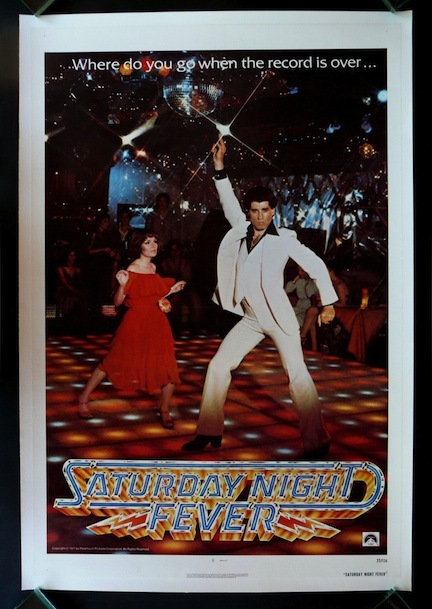 Saturday Night Fever: One of the BEST movie soundtracks ever! 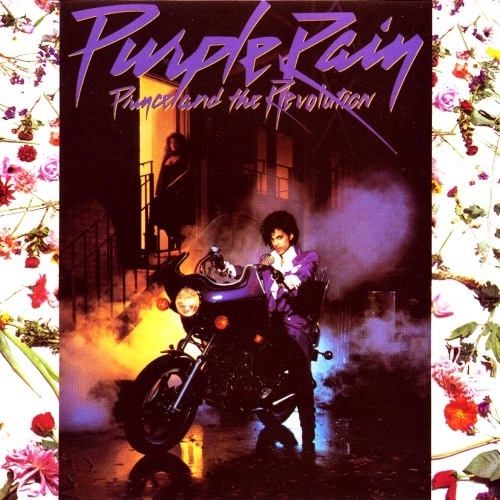 Plus it was a great story and look into the disco party scene. Shelli … this was fun … I feel like we should have done this earlier in our relationship. I’ve got my next list coming soon! oohh yeah, I forgot about Crooklyn.. that movie was too dope! &I also love to see the bad guy(s) get away, so Shawshank Redemption made my list too; as well as Primal Fear which left me with my jaw on the floor. Primal Fear is AWESOME!!! I just knew Ed Norton was be the next Robert De Niro!! Dead Again is another great one. Love IT! I have most of those on my list too, but you’re missing Love Jones lol… That soundtrack is a MONSTER! And you forgot Kill Bill (all 3), Return of the Dragon and The Last Dragon! lol! Great list! Although for me, it was missing the Hannibal movies, (most specifically Silence of the Lambs) and Willy Wonka and the Chocolate Factory! Alright, maybe I’ll go make a list of my own lol.